Nice to work with fotoglitz and very talented their team to complexity. Great job, amazing communication, quick to deliver exactly what you ask for! Very prompt, Easy to communicate with, Very Quick turn around. Fotoglitz working with their Very professional team and provided me with exactly what I needed in a timely fashion. Would highly recommend to anybody looking to hire on Fotoglitz. When any business grows in size and operations, management could cut-off their cost and focus on the core activities of business, while the non-core functions can be outsourced to the vendors specialized in that particular functions. Bangladesh is now considered one of the fastest growing destinations in the world for Business Process Outsourcing. We, at Fotoglitz, being a part of the IT industry of Bangladesh, maintaining a very skilled and well-trained team of Graphic Professionals to serve the world for all sorts of image editing and processing services. Fotoglitz is a sister concern of Startrek Associates - a software development and IT Enabled Service provider company for country's largest public service utility consumer. We are uniquely positioned to provide all sorts of IT solutions for any type of requirement given by our customer. We are Customer Focused Company, working together to provide reliable service & solutions within time and low cost. As well as our own staff setup of more than 200 IT & administrative personnel, we also maintain a large pool of IT Professionals coming from different backgrounds to balance the support and enhancement in customers business need. At Fotoglitz we strive to provide high-quality image service for any photo, design or image related industry. We maintain own host server with high-speed internet connectivity for fastest communication. And also we have a proficient team for design and image services - works 24 hours 7 days in a week around the year and have appearances in all time zones. Most of the team members are certified by Bangladesh Government Graphic Arts Institute. We are giving you easy file transfer system Google drive, Dropbox and FTP. We have 10 years expert team to delivered Quality images. We are dedicated to work 100% satisfaction and Re work on client dissatisfaction. Most of the ti mes when a picture is taken, there is tendency to capture details that are either undesirable or irrelevant. These are often seen in the background and can spoil an otherwise perfect picture. In such a situation what do you do? Abandon the picture? Maybe retake the shoot? 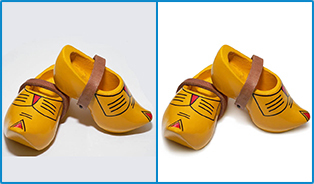 There is no point in going into all these efforts because our clipping path or deep etch services will help you get the best out of whichever picture you want. We generally apply manual process rather than non-proficient process for cutting out the subject of an image from its background. Process of altering images from it's original place. Not every photo comes out perfectly; to get an expected photo, the photographer could go for a long photo session - which consists a big time, effort and cost OR the simple way - by computer editing. Photo retouching is one of the wonders of modern technology. You can take an average-looking picture and convert it into one that can truly speak a thousand words. 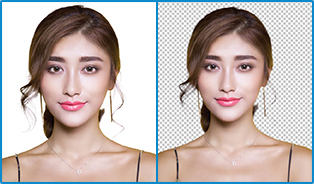 In photo editing world, retouching refers to the work of removing flaws of the image; mainly, flaws of the face like acne, blemishes, or any other spots. This service will also add warmth and set tone to your photo. Image retouch technique can make old pictures to new look (even black & white life to color), glow your desired objects in the photo or can turn any objects to a new look. 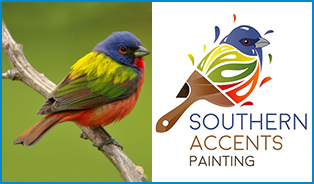 Skillful artwork to transforming an image to achieve desired results. Invisible or ghost mannequin services is used to create similar image copy like original, but there is no trace of mannequin shadow by using photo editing software. Mostly used in apparel business, this service is used to make professional looks for your fashion apparels clients have to need Neck Joint, Bottom Joint and/or Sleeveless Joint Service for any image. By maintaining the consistency of the design, shape, size and color, our expert team can articulate any part of the apparel. We calculate the flow of designs and the shape of joints and then output the final image according to the normal dimensions that were supposed to be. Process of image editing to hide some portions and reveal others. Image masking is the process of separating an image from its background, either to cause the image to stand out on its own or to place the image over another background. This technique cover up some portion of a picture and to open or reveal some parts what ever you say. It's a non-destructive way or method of image editing. Most of the time, it permits you to regulate and tweak the mask later if necessary. 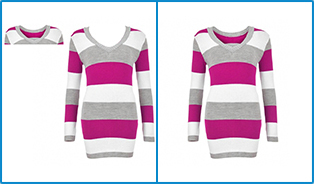 Very often, it's economical and additional artistic manner of the image manipulation services. Mostly this technique is used for background treatment of any image. 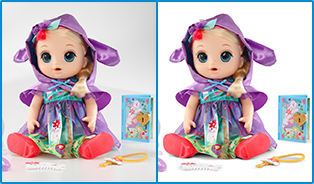 Image shadow creation brings realistic look to product photography. A shadow helps any subject look grounded in its Background. The shadow is an effect often found in catalog photographs, advertising images, and Web pages. This shadow is created by separating the main object from the background and adding a custom shadow as per the requirement. Sometimes the background is omitted, other times it is modified or substituted out. The resulting effect creates the illusion that the object is floating is space. By using advanced blending & softening techniques, we can add any shadows that exactly imitate their natural counterparts. Also with the added bonus, they can be easily manipulated to create a range of variations. Transforming the photo into a work of art by applying a variety of special effects. Effective pictorial image will catch-up the eye of the target audience - where image illustration is a mandatory item to convey a specific objective. An image plays a vital role in the advertisement in different forms including flyers, posters, web banners, newspaper ads, direct-mail kits, among others. Computer generated design and illustration is now a right medium and style for any brand or product image illustrations. To save you some time, we’ve build-up a team of creative designers to pairs together the text and photography in an effective and beautiful way for your advertisement. Changing the product image or environment to glow it up for customers. Just a few years ago the range of different products in the market was limited to what you could find in department stores, supermarkets, newspaper ads or in billboards. With the rise of E-commerce, and more recently, social media, brands no longer have to pay exorbitant amounts to be stocked at eye level on supermarket shelves. 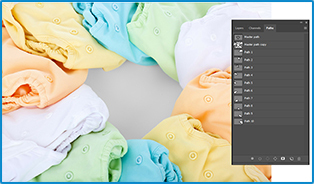 Modern consumers are paying closer attention to product image and environment. Such as, for Real-Estate market, any unwanted object in front of the property could distract customer's attention. Also, the background and environment also impacts the image of the property. 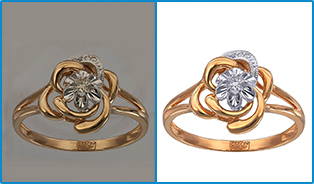 In such cases, our expert team can clean up the unwanted objects, glow your product and replace the background. Extracting unwanted objects from two-dimensional still imagery. Most of the times when a picture is taken, there is tendency to capture details that are either undesirable or irrelevant. These are often seen in the background and can spoil an otherwise perfect picture. In such a situation what do you do? Abandon the picture? Maybe retake the shoot? 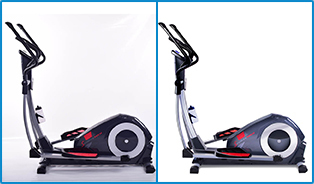 There is no point in going into all these efforts because our clipping path or deep etch services will help you get the best out of whichever picture you want. We generally apply manual process rather than non-proficient process for cutting out the subject of an image from its background.